A former Russian civil servant was sentenced on Thursday to nine years in prison for an alleged plot to blow up President Vladimir Putin's motorcade with a bomb placed in a radio-controlled toy helicopter, state news agency RIA Novosti reported. Igor Puzanov, who formerly served in Russia's federal agency for construction and housing, was detained in 2013 after authorities uncovered the scheme, the report said. To advance his agenda, prosecutors said Puzanov had created websites to post "terrorist propaganda" on behalf of a fictitious organization, the All-Russian People's Revolutionary Front, according to RIA Novosti. Reportedly tipped off by some of the articles Puzanov published, the authorities sought him out. When they found him, he was in possession of the helicopter with a bomb attached to it, the report said. 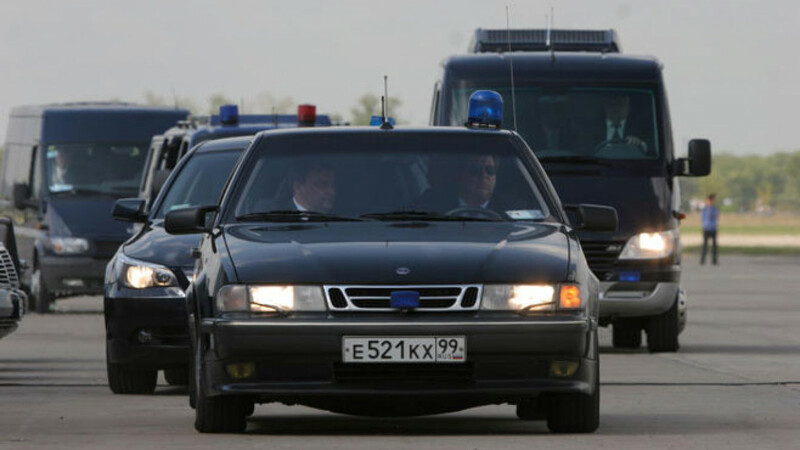 His lawyer, Nutsalai Magomedova, maintained that Puzanov was not endeavoring to blow up the president's motorcade. Rather, she said, he had planned to give the helicopter as a gift to his wife's nephew. After the sentence was announced, Puzanov vowed to appeal and then sang the historic communist anthem, "The Internationale," the RAPSI legal news agency reported from the courtroom. Magomedova told the court that Puzanov suffers from schizophrenia. RIA Novosti reported that she plans to appeal the sentence, seeking compulsory psychological treatment rather than hard time in a penal colony.